THE Armada Athletics Network enjoyed a bumper turnout for their opening 2017 Summer 5k Series run at Saltram Park on Wednesday night. Some 196 runners entered the race around the outer grounds of the National Trust property, which was a record for the first event of the six-run series. City of Plymouth’s Ashley Smith was first home in a time of 16 minutes and 57 seconds. Second was Tamar Trotters’ Simon Yeo in 17.34, with Plymouth Harriers’ Alex Peyton-Jones third in 17.41, fellow Harrier Steve Fletcher fourth in 17.42 and Jacob Pierpoint fifth in 17.49. 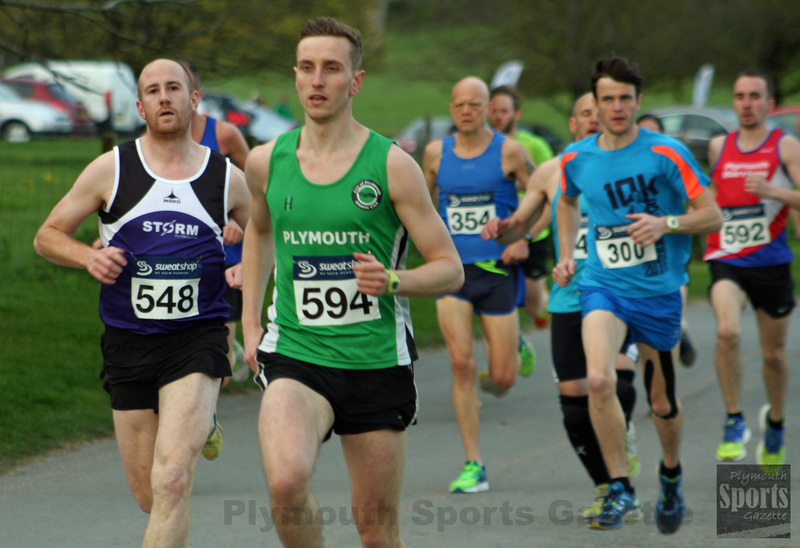 Plymouth Harriers’ Ami Yetton produced an impressive opening series run. She clocked 19.07 to finish more than two minutes ahead of any other female runners. Her new club team-mate Nicola Noble was second female in 21.30 minutes. Meanwhile, City of Plymouth’s Emily Bee moved into fourth place in the early UK under-17 80m hurdles rankings with a time of 11.82 seconds achieved at the Exeter Ken Trickey Open Meeting. That was only Bee’s second outing at under-17 level. She also finished first under-17 in the high jump with 1.55m and second in the long jump with a leap of 5.44m. Tavistock’s Edward Fileman moved up to sixth in the UK under-15 hammer rankings with a throw of 41.67m at the same meeting. His club team-mates Charlie Shipton (under-20, 39.48m) and Lois Fileman (under-17 girls, 38.95m) also impressed in the hammer events, as did City of Plymouth’s Jonathan Edwards, who won the senior men’s event with 60.00m. City of Plymouth’s Lili Fern put herself in the UK’s top 25 in both the under-13 girls’ 100m and 70m hurdles with new personal bests at Exeter. Fern clocked 13.98 seconds for the 100m and 12.55 seconds for the hurdles. 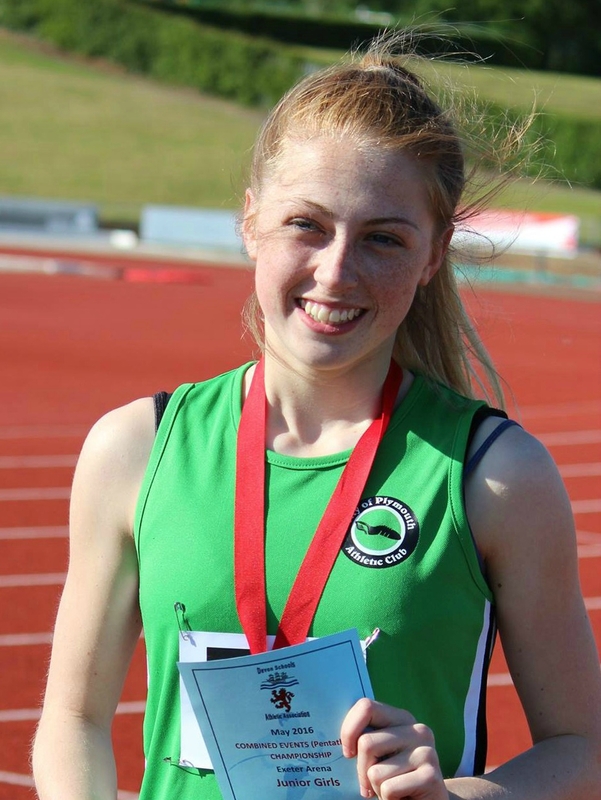 There was also an impressive PB of 41.49 seconds for her team-mate Danny Filewood in under-15 boys’ 300m, while fellow City of Plymouth athlete Poppy Northcott won the under-11 girls’ 75m, 600m and long jump. She ran 11.73 seconds for the 75m, 1:57.83 for the 600m and jumped 3.31m in the long jump. Rosie Northcott was second in the long jump with 3.24 and third in the 600m. Erme Valley Harriers’ Nathan Brown clocked 1:59.94 to win the 800m, while Plymouth Harriers’ John Cooper won the 3,000m in 9:40.28. Full results from the Exeter Ken Trickey Open, can be found HERE.